I found a few dozen of these in a general area under rocks and logs near our Redbud tree. Though there's also the rotting stump to a Norway Maple nearby to consider too. These turn into "Lightning Bugs" or "Fire Flies" when they grow up but they're actually Beetles, related to Clicks and Soldiers. The soil is damp there almost all year long and I'd consider it partly shaded. I mention these facts because Lightning Beetles are in something of a decline. Lights at night supposidly mess up their mating ritual, and they would seem to require damp forest floors to survive. They're overall beneficial because the larval stage is said to consume snails, which I know are a common complaint among gardeners. 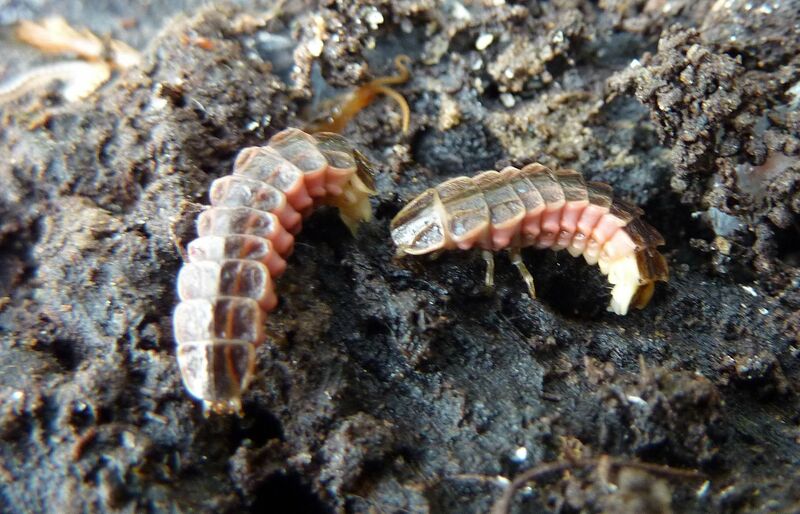 As far as beetle grubs go, they're surprisingly pretty.